Doing the right thing always brings success. Whether that is shopping locally, supporting a charity or organization or investing in your community, it is worth it! Real Estate is one of single biggest wealth creators in the investment realm. If you want to get started in Real Estate, a good mentor will make the difference between success and failure. Don’t go it alone. If you see something that your community needs, chances are that someone else has too. Finding and building collaborative partnership and alliances is a phenomenal way to create change and build a community. Josh has been building communities for over 25 years. Learn and benefit from his rich experience. Because of his active involvement and extensive network, Josh has a pulse on many exciting and unique business opportunities. If you want to start working for yourself and aren’t sure what to do, talk with him and see what if available. Making a difference. Locally. Sustainably. Daily. The Center of Harmony is wholly owned by Josh’s company, Great Things LLC.Some people say that you can’t make a difference. That you can’t change the world. Well, they are wrong! Whether it is helping a business get their message out, creating a start up business, improving a bottom line, providing quality affordable housing or creating local jobs, Great Things LLC is focused on building the local economy. Here are just a few of the impacts and projects that have improved the local communities. Josh Meeder standing in the historic 1875 Opera Hall of the Center of Harmony. Supporting local environmental causes is socially responsible and personally rewarding. Here are few of the organizations Josh is involved with and support. As a part chairman of Preserving Harmony, a committee under the Historic Harmony Inc., he challenged a development that wanted to fill in a local flood plain. Working with the DEP, Army Corps of Engineers, state, local and federal agencies, we were able to identify and have almost 7 acres of wetlands protected and reduced the amount of fill that was added to a local floodplain. Additionally, we worked with local municipalities to adopt more restrictive floodplain restrictions. 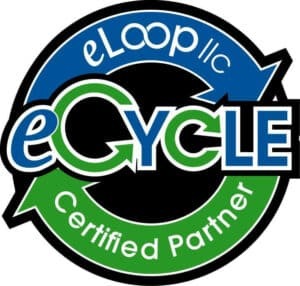 During my partnership with eLoop LLC, the Center of Harmony has recycled approximately 57 tons of electronic waste, between April 2012 and January 2104. With 98% landfill avoidance, this has had significant impact on the local environment. All of this and it has been offered for FREE to the community. You can find your local recycling facility online at E-cycling Recycling. The e-recycling service was closed in January 2014 due to capacity and facility limitation. Through strategic Real Estate investments in residential housing, 5 abandoned or neglected properties have been purchased, renovated and sold to local families. Here are just a few of the before and after pictures.